John Riley reviews the brand new Samyang 85mm f/1.8 manual focus lens for APS-C and Micro Four Thirds mirrorless cameras. There is no doubt that we are in a new age of manual focus lenses. There are so many new, exciting designs from a variety of manufacturers, some well established, some new to the marketplace. 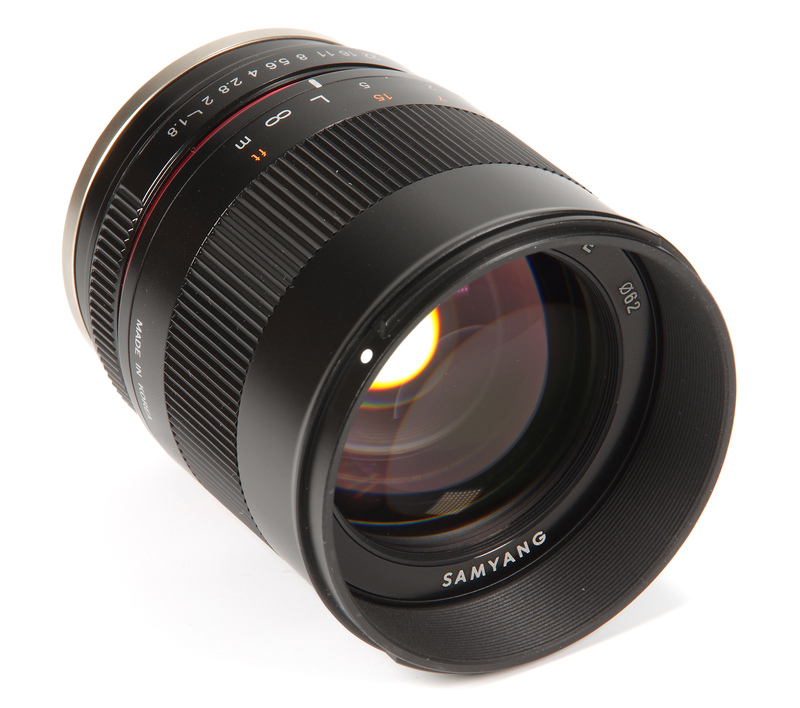 Samyang have an enviable reputation in the manual focus arena, although of late they have also expanded into new AF lenses. 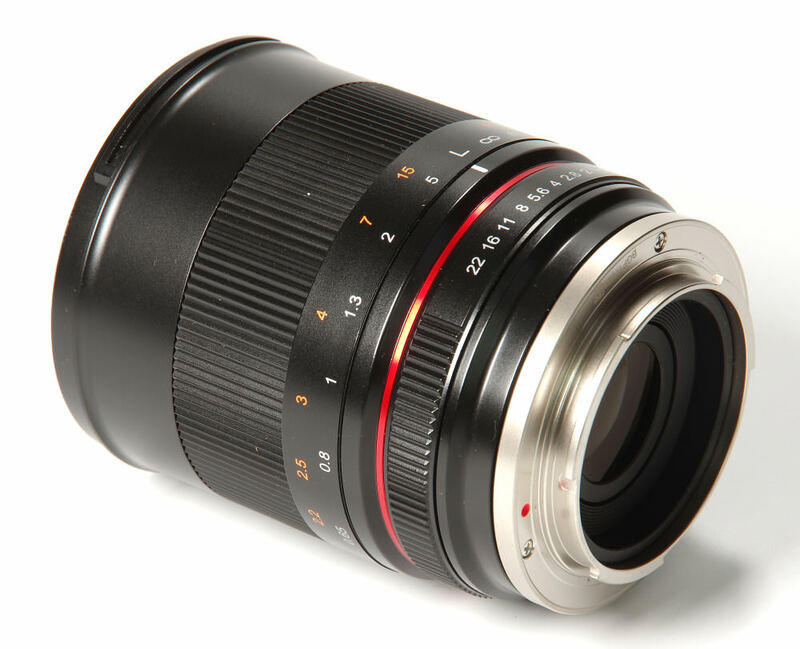 The new Samyang 85mm f/1.8 is a manual focus lens for APS-C and MFT format cameras. This might seem an odd length for a mirrorless format lens, but in fact it equates to a “35mm format equivalent” of 135mm on APS-C, a classic focal length since the first Leica film rangefinder cameras. On MFT format the equivalent would be 170mm, a rather more unusual length. 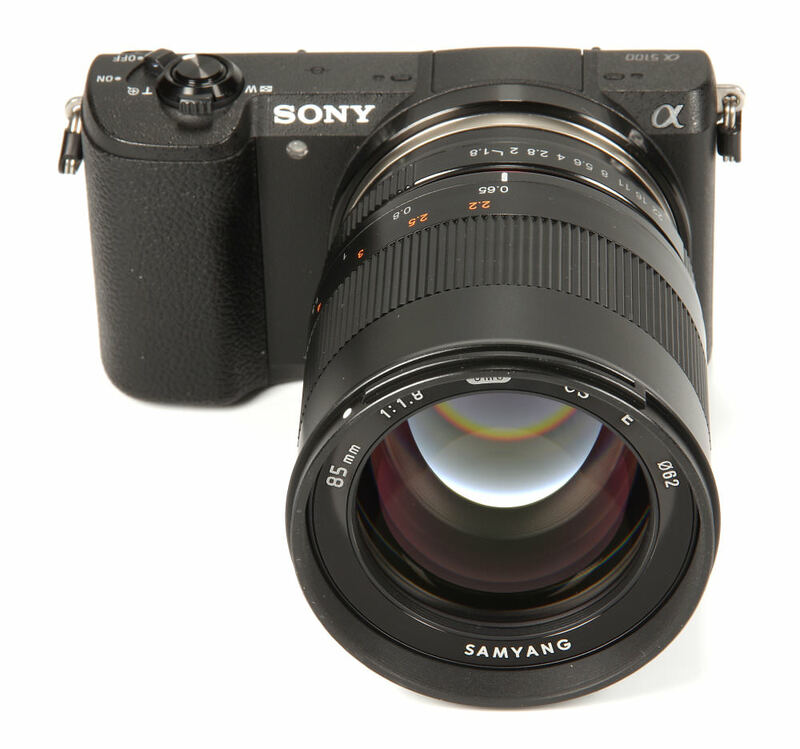 Here we look at the new lens with the APS-C format Sony A5100 24.3MP mirrorless body. Sometimes the descriptions on the box can be a little strange, and here we are told the lens is a “Standard Angle Lens for Mirrorless Cameras”, which it isn't of course. 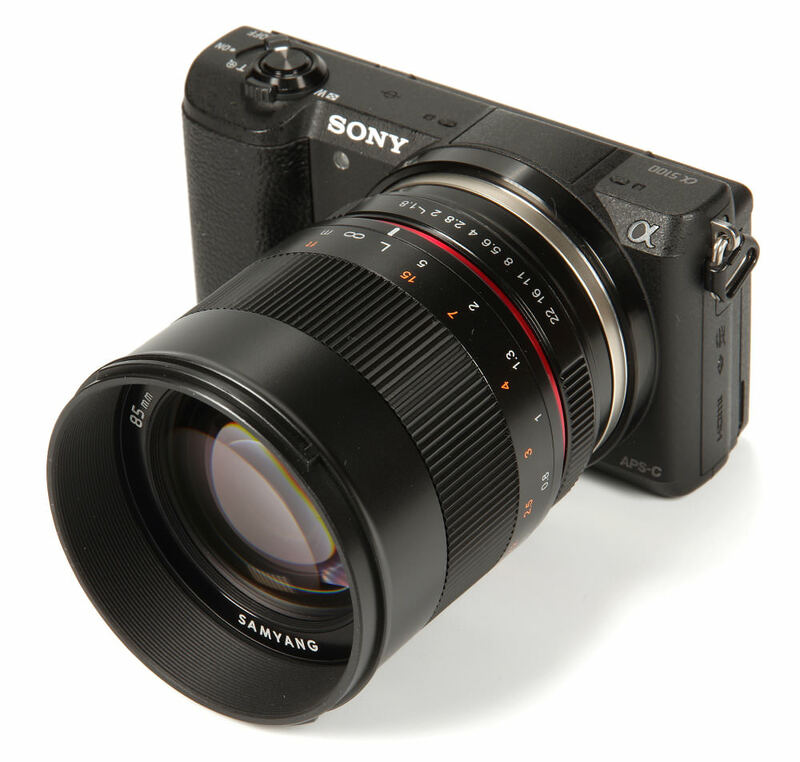 A 35mm lens might be better claiming to be a standard lens for APS-C format. However, it is a prime lens and a medium telephoto on the Sony A5100. This would traditionally be aimed at landscape, portrait and close up sports. We will return to the general handling later, but first we look at our tour of the lens. Starting with the supplied plastic lens hood, this bayonets cleanly onto the camera. Without the hood, the front element is still slightly recessed at infinity and the lens inner barrel moves forwards as we focus closer. This affords a slight amount of protection even without the hood, although use of the hood will always be the best option. There is a standard 62mm filter thread. The wide manual focus ring is smooth and firm in action, if anything perhaps a little too firm, although no doubt this will ease up with use. Distances are clearly marked in feet and metres. Focusing is down to 0.65m (2.13 feet), a maximum magnification of 0.17x. This is significantly closer than a traditional 135mm lens would achieve. As with many lenses, the opportunity is missed to put in a depth of field scale, which would be a useful feature. The aperture ring has a superb action, with clean click stops and a gorgeous action. The 9 bladed diaphragm is totally manual and stays at whatever aperture is set. In the case of the Sony A5100 it is a little unfortunate that the diameter of the lens is greater than the distance to the base plate of the camera, so care needs to be taken that the aperture ring is not fouled by a tripod mount. This is important particularly with this lens, as we shall see when we explore the handling. The optical formula is 9 elements in 7 groups, including 1 HR (High Refractive Index) and 1 ED (Extra Low Dispersion) elements. This is a floating element design, helpful in ensuring close up performance is maintained. Samyang has its UMC (Ultra Multi Coating) applied to all elements. The lens is fairly compact, looks to be well made and weighs in at a very modest 344g (Sony E or Canon M), 356g (MFT) or 362g (Fuji X). There is certainly no difficulty in using the lens, all works perfectly well and there are no surprises. However, focusing of an f/1.8 lens is very unforgiving and it is not easily achieved using a camera with a rear screen for focusing. In bright light it is well nigh impossible to focus accurately, which of course means that the quality of the lens is not realised. For example, a day spent at the York Air Museum resulted in a huge number of missed focus shots, something that would not have been the case with any camera with a viewfinder. It is arguable that this is not the fault of the lens, but it does highlight a possible weakness for some camera owners. With a tripod and using focus magnification then the potential of the lens can be exploited to the full.